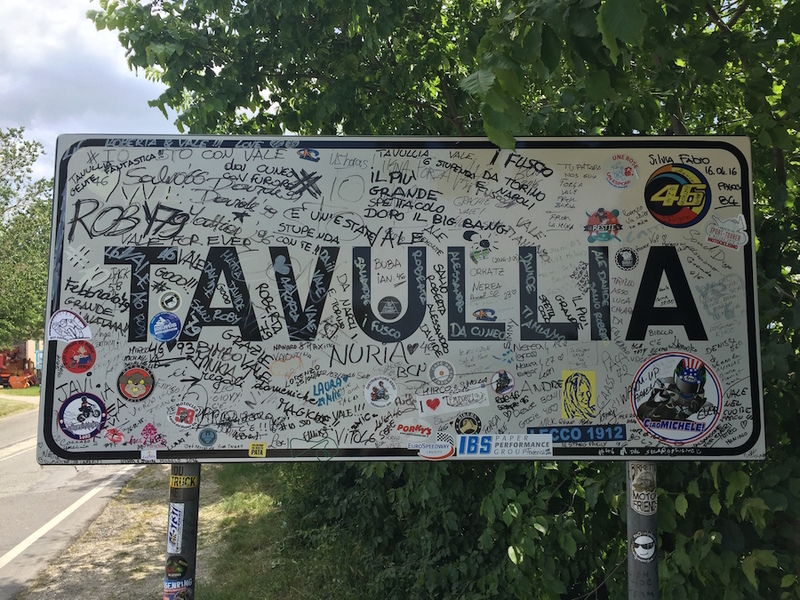 One hundred metres before you pass the heavily graffitied sign that tells you you’re entering the town of Tavullia there’s a big building on the left, mostly painted yellow and with a curved, mirror-glassed entrance block. It’s a flamboyant construction which looks somewhat out of place on the outskirts of an ancient rural town where tractor repair shops and agricultural supply outlets are the norm. 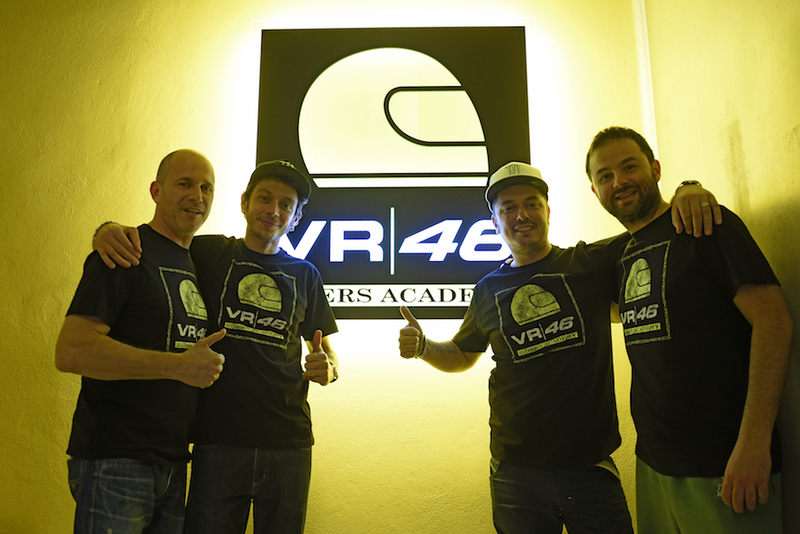 The VR46 headquarters is definitely not normal. It is the concrete and glass product of nine world championships, 115 grand prix victories and a fanbase that spreads from Tavullia to Thailand and far beyond. It is also the nerve centre of the biggest employer in the town. 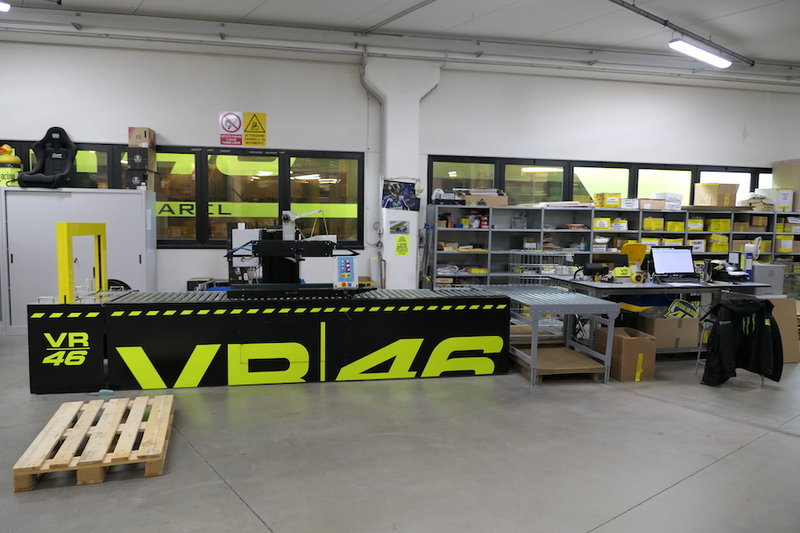 Valentino Rossi’s Tavullia operations employ 84 people full-time, working in merchandising design and fulfilment, the VR46 Riders Academy, the VR46 Motor Ranch, the Sky VR46 Moto2 and Moto3 world championship teams, the Sky VR46 junior team, plus the VR46 official store, pizzeria, gelataria, bottega, bar and other interests. 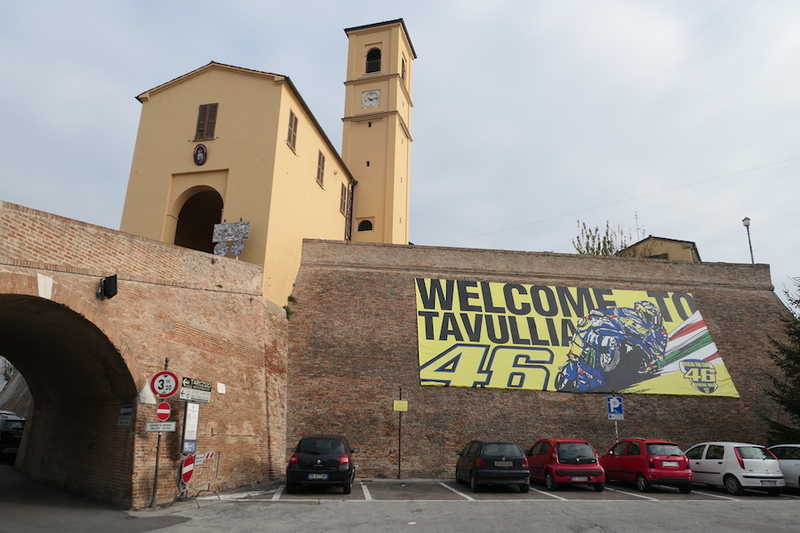 The Rossi effect is full noise from the moment you enter the car park of the VR46 headquarters, which covers 3200 square metres. Everything is as perfect as can be. The curving mirror-windowed entrance is bordered by cobbles, a nod to Tavullia’s past, and racetrack-style kerbing, a nod to its present. The kerbs are painted in the Italian tricolore colours of red, white and green, just like Mugello, and right there is Rossi’s own parking space – a grid slot painted in yellow. Rossi has always been like this – a pursuer of perfection – all the way back to when he was a teenager. The mirrored entrance doors slide open and you’re in the reception area: more cobbles, several motorcycles, including Pecco Bagnaia’s Moto2 title-winning Sky VR46 Kalex, and a living wall, with the VR46 logo picked out in yellow flowers. We go upstairs, where the theme continues. This place looks like the headquarters of a cool, global brand, which of course it is. But you’d expect a deluxe head office like this to belong to an internet giant, a movie production company or a fashion label; not to a single sportsman in a relatively niche sport. The VR46 HQ has been designed and built with an eye for detail and barely a thought about cost. Everything is as beautifully done as it can be, from the glass-walled merchandise design studios and management offices to the staff canteen, which is better than many restaurants. The number 46 is everywhere: from a whole wall of baseball caps to rails of T-shirts and hoodies to coffee mugs, USB sticks and, of course, on the front of a YZR-M1, parked in the corner of one of the offices. Downstairs are the workshops of Rossi’s Sky-sponsored Moto2 and Moto3 teams and the merchandising warehouse, which doesn’t only stock Rossi kit. 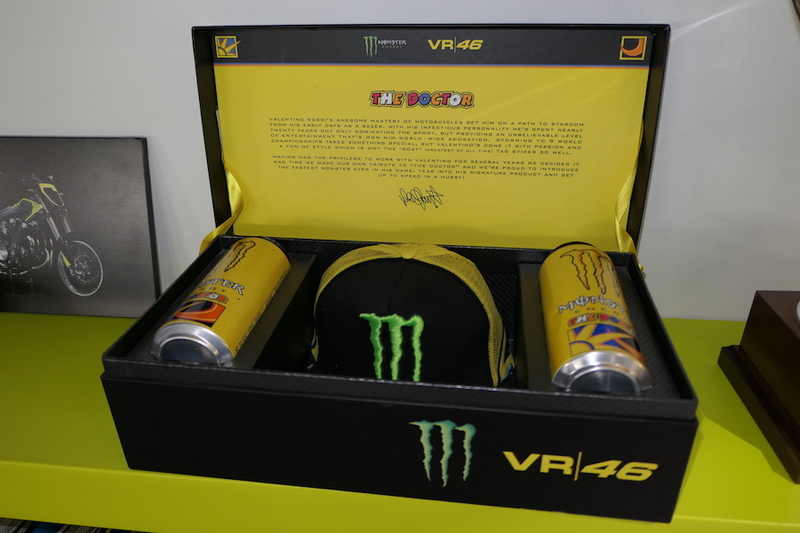 Cal Crutchlow, Maverick Vinales, Alex Rins, Jack Miller, Fabio Quartararo and others also have VR46 look after their merchandising. 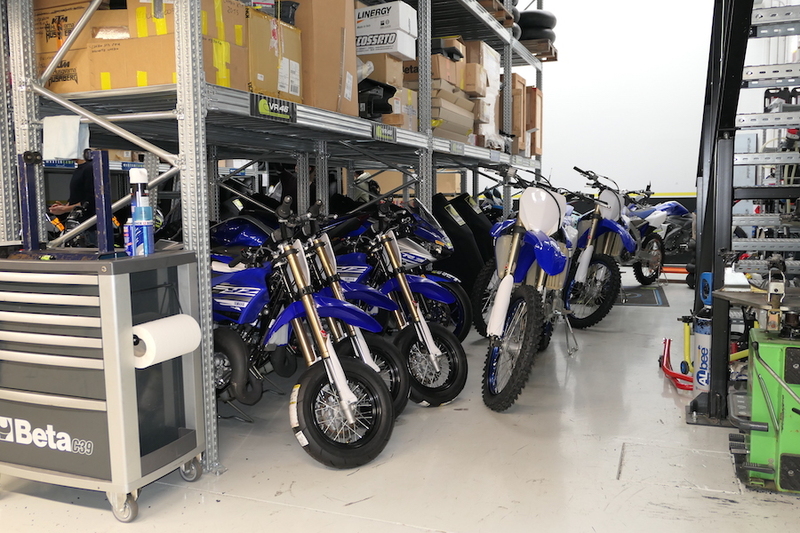 Next to the warehouse are various storage rooms, crammed with the 30 or so motorcycles used by the VR46 Riders Academy: three YZF-R1s, six YZF-R6s, six 80cc MiniGP bikes, six YZ85 supermoto bikes and various others. Even down here everything is as good as it gets. The workshops are immaculate and also mostly quiet, because we are visiting in the off-season. The VR46 empire turns over more than 30 million Euros ($48m) annually, of which about 20 million is merchandising. That’s a lot of hats, tees and everything else. The rest mostly involves licensing deals with brands like Monster and Oakley.